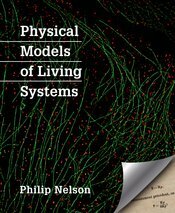 Written for intermediate-level undergraduates pursuing any science or engineering major, Physical Models of Living Systems helps students develop many of the competencies that form the basis of the new MCAT2015. The only prerequisite is first-year physics. With the more advanced "Track-2" sections at the end of each chapter, the book can be used in graduate-level courses as well.